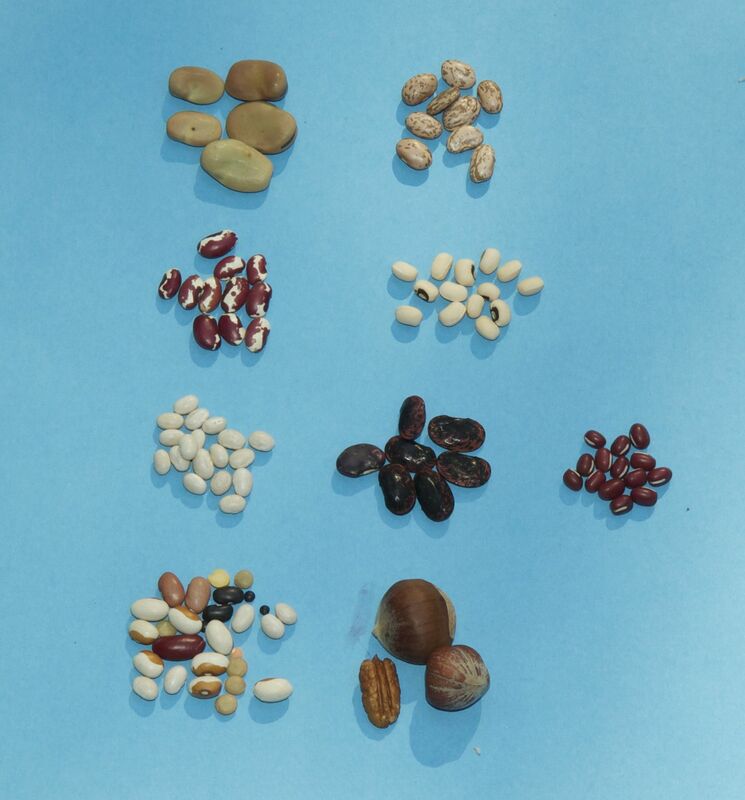 Below are two photos with seeds arranged in the format of parts of the seed chant. Try out your memory. 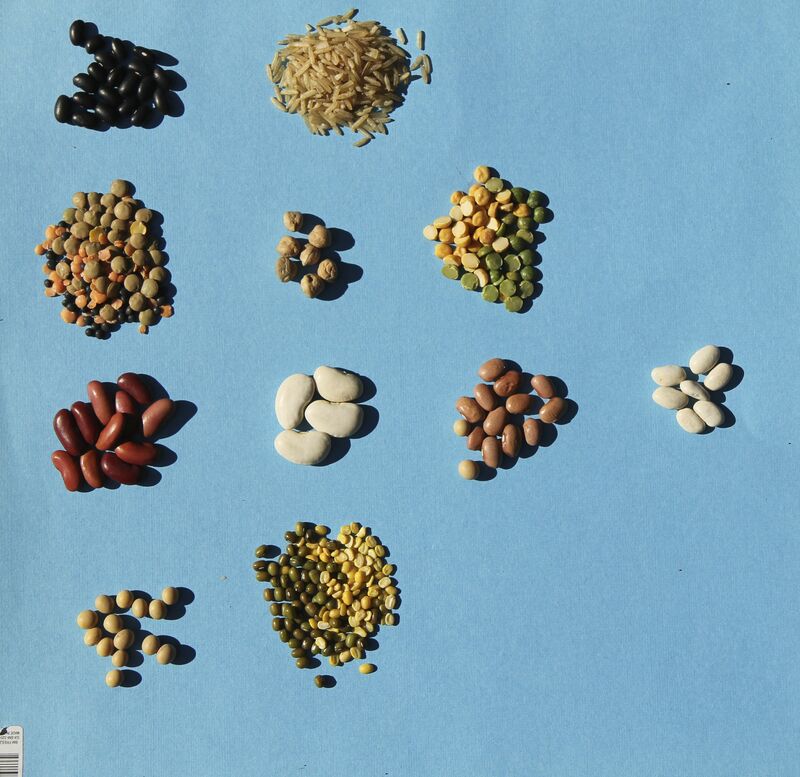 “Read” these photos by identifying the seeds and saying the seed chant out loud to help you figure out the seeds that you find hard to recognize! You can click on the photo for a much larger version to examine. Say the chant, identify the seeds.